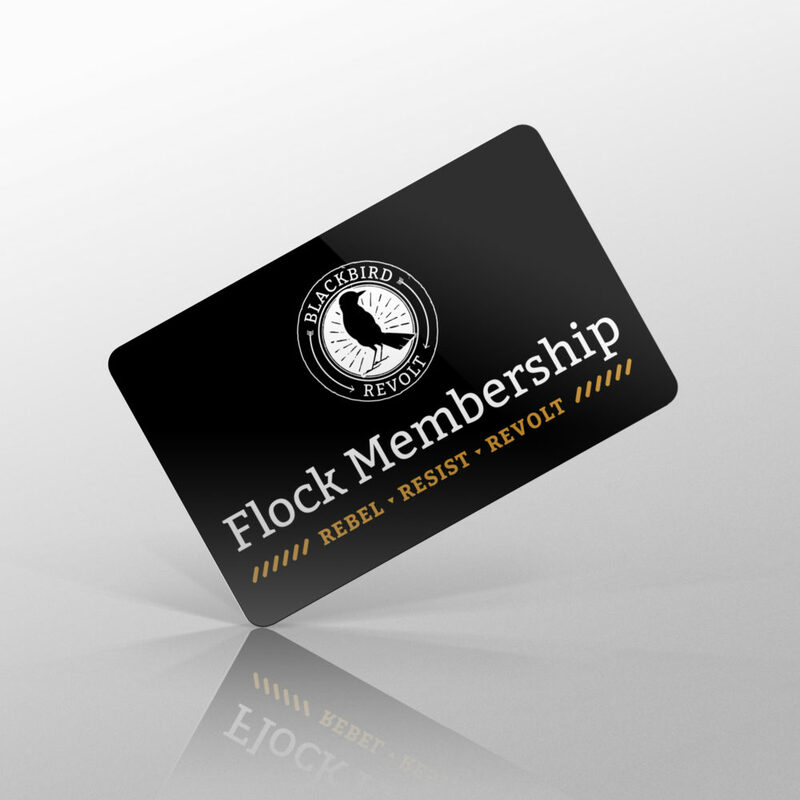 A Flock Membership is a great way to support the creative initiatives of Blackbird Revolt. Purchase this membership for exclusive deals and merchandise! Members are automatically added to our monthly newsletter mailing list.